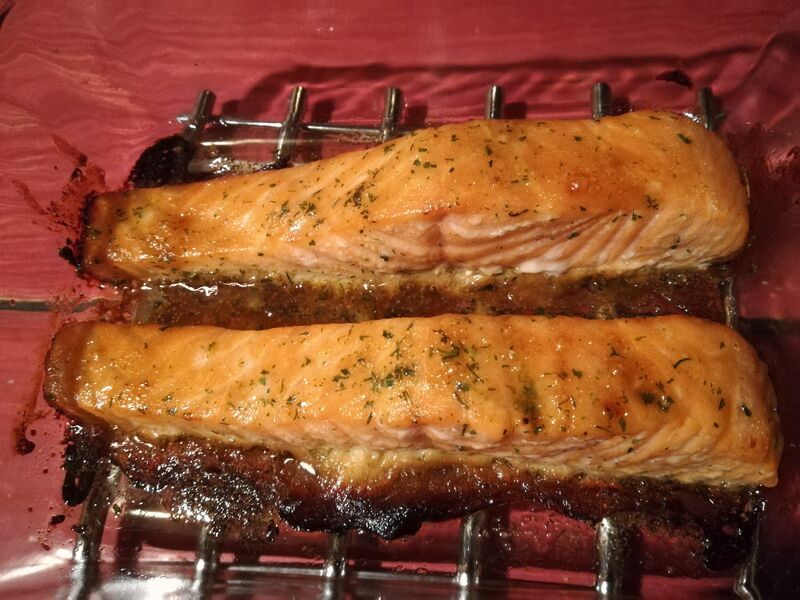 Here’s my favorite, easy way to prepare a delicious piece of salmon fillet. They aren’t the cheapest, but eating salmon fillet once in a while is quite healthy and tasty. Up until recently, they were an enigma to me. I had no clue what to do with them to make them taste good. Sure, I could just heat them up as-is. Salmon is quite good all on its own. However, I wanted to add something to it to make it my own. I quite like teriyaki-ish flavors, so I figured I should do something with that. I came up with this mixture and it was a real hit! First, I grab an oven dish and fill it with a small layer of olive oil. I sprinkle some salt on top of that (I read it somewhere) and then I put the salmon fillets on top of that. Sometimes, I sprinkle them with some salt or whatever herbal mix the store gave with the package, other times, I just leave it like this. Then, I make the marinade. 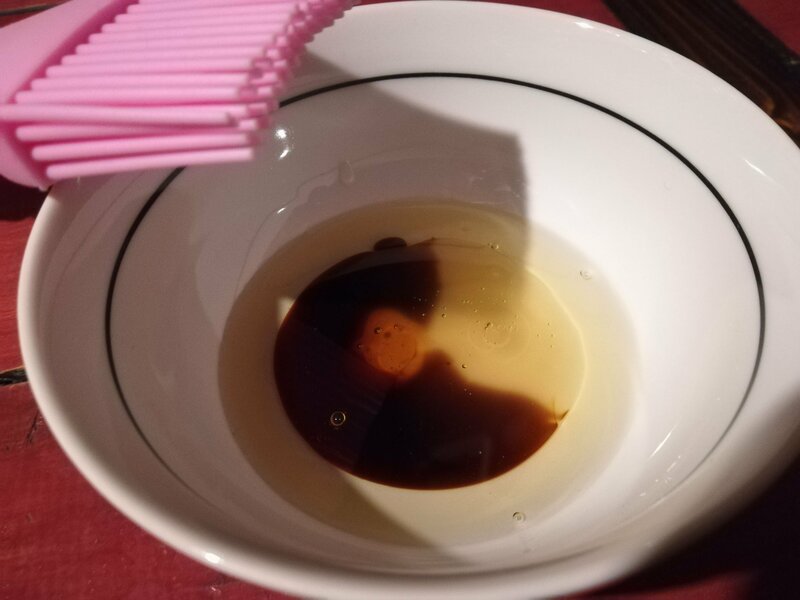 I mix olive oil, a dash of sesame oil (this has a powerful taste, so just use a little), sweet soy sauce and ginger syrup. I also add spices like ginger powder, garlic powder and kurkuma. I mix all of these ingredients together with a kitchen brush(?) and then brush the salmon with the marinade. I make sure to cover the entire surface (except the bottom) and then put the salmon in a preheated oven on 200C for about 20-25 minutes. 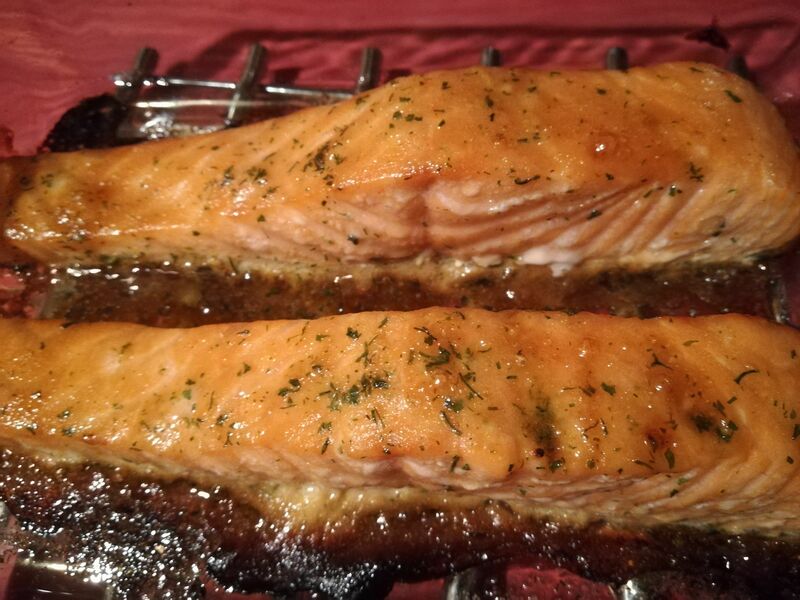 This marinade adds such a delicious taste to the salmon. For me, it’s better than plenty of restaurant salmon dishes. Straight out of your own kitchen! How do you prepare your salmon?